Interior design is fun as your whole place is going to be like new after successfully completing it. But you should do it very carefully. Some silly mistakes can ruin your whole setup. Here are some interior design mistakes that you should avoid. You can make your house art and luxury heaven if only you’d know some tips and hack of interior designing. Many people make drastic interior designing mistakes that only show when the whole thing comes together. 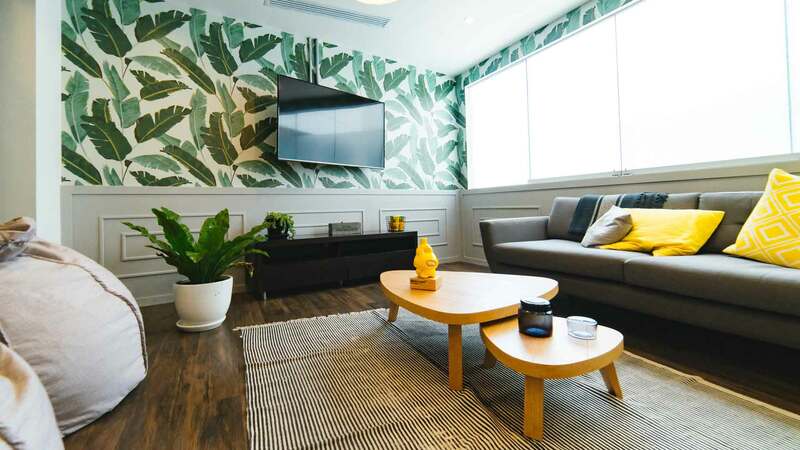 Famous interior renovation company and architecture experts have made a never-ending list of things you should definitely avoid when decorating your space. When you are decorating a bare room, that needs new furniture as well as paint. Do not choose paint over furniture. Never paint the wall before buying any furniture. To make the room come together like one unit, you need to paint around the furniture pieces and not the other way around. If you have a preferred color that you need your wall to have, then make sure that you have one important piece of furniture, that matches your preferred color to make the room come together perfectly. When you overmatch any room, you can give the room a boring look. According to the interior renovation company, it doesn’t matter if everything doesn’t match with each other. Having a bit of contrast can look very artistic as well as fun. Mix and match interior gives the room its own unique personality. Contrasting can make a room look alive, but over contrasting will make the room become an eyesore. Keep contrasting limited to one room. If you need to display your artistic skills then choose the room that gets the most traffic. Try and keep contrasting to a minimal level because too much of constant can make the room feel chaotic. To express your personality and express yourself, you should always incorporate your artwork or the artwork that suits your personality in your house. But placing the art is not as important as the way it’s being placed. To make the room have a good flow you need to place the furniture at the perfect height, which, according to the interior renovation company who also provides commercial painting service, is eight to ten inches higher than the furniture in your room. When you push up your furniture against the wall, you may think that you are creating space, but that’s not true. By doing this you take all the personality away from the room. There are times when this can’t be avoided, but if you can you should keep the furniture away from the wall, making the piece sit together to give the room a smooth flow. When you buy trending fashion pieces, you make a huge mistake. The fashion will change and something new will become a fashion, but you will remain stuck will the same outdated furniture. Interior experts emphasize people to buy timeless décor that will stay in fashion in every season. Fashionable and trendy furniture looks great but when the trend ends, these pieces become worthless. It’s better to buy smaller pieces that can easily be replaced when the fashion changes. Interior designing isn’t an easy job, but it’s not rocket science either. Anyone can have a go at it as long as you know what you are doing. Next articleWhat is Telstra Mobile International Call Rates?